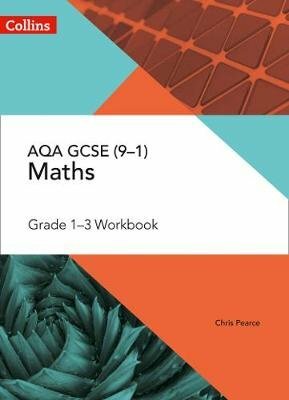 Collins GCSE AQA Maths Grade 1-3 Workbook provides targeted practice at to build confidence and skills for the Foundation GCSE exam. Develop fluency in key topics and the confidence to tackle multi-mark questions with supportive problem-solving questions and accessible practice. Exam Board: AQA Level & Subject: GCSE Maths First teaching: September 2015 First exams: June 2017 *Written and reviewed by GCSE maths experts, this workbook is fully up to date for current GCSE Maths specifications *Support lower attainers to build their confidence and skills to tackle the Foundation Tier *Provides levelled practice to build fluency and confidence in answering GCSE-style questions *Targets the key skills and topics that will have most impact for students working towards Grades 1-3, informed by the latest examiner reports *Carefully structured problem-solving questions develop AO2 and AO3 skills *Builds familiarity with the key mathematical language students will need to understand for their exams *Hints provide support and guidance to access questions and address common misconceptions *Organised by strand for easy integration into any teaching programme.